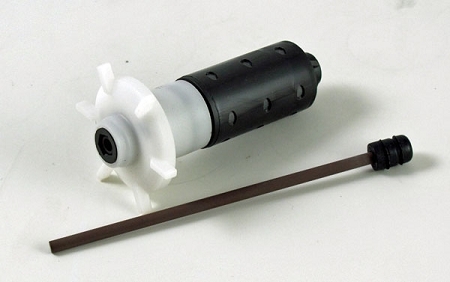 This rotor fits the Rena Flow 1500 pump UL MOD# M2(S). 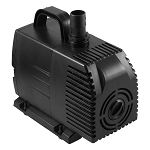 In addition, it will also fit the Pond Care 350 item 705C. The assembly consists of stainless shaft, bearing/bushing and rotor/impeller. This is the older version 1 of the rotor-impeller which a has protective guard over the impeller chamber which reduces the chance of small particles damaging the rotor. It also has the original ceramic shaft which some users prefer over the the stainless steel shaft. This is a special purchase and may not be repeated. Q: Rotor Impeller for Rena Flow Water Pump 1500/350 #ADE042-01 Original Version. Will this fit a Rena Flow 450? If not, which part do I need for the RF 450?